Whey protein is used as a bodybuilding supplement. Whey protein is often sold in powder form. Whey is a natural by-product of the process used to make cheese. The curds obtained from cow's milk are typically cooked and then cut. This allows the whey to then be separated from the milk. This whey is the raw material used in the formation of whey protein, which is most often sold in a powdered form. The effects of this type of protein on humans continues to be studied, but testing on animals has shown promise that it can become a valuable dietary supplement, due in large part to the body's ability to digest it quickly. Whey protein actually consists of a combination of various globular proteins. The primary proteins are beta-lactoglobulin, alpha lactalbumin, serum albumin, and immunoglobulins. There are several forms of these proteins available. The three most common being concentrates, isolates and hydrolysates. 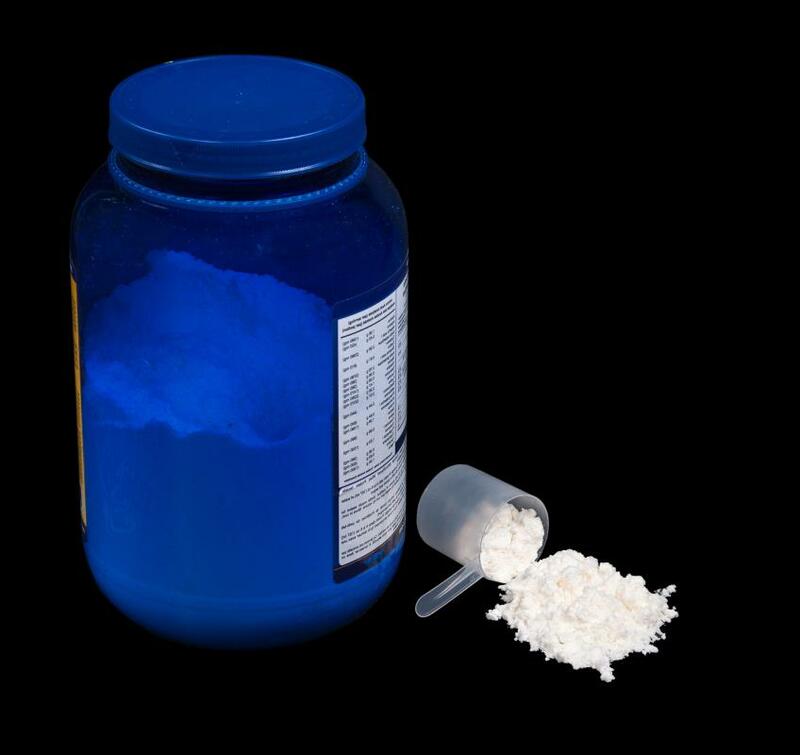 Concentrates are among the most common whey proteins available. The levels of fats and cholesterol are generally rather low in the concentrates. Lactose forms the carbohydrates found in this form of whey protein. Isolates are another form of whey protein. Isolates are processed in such a way that the lactose and fats are removed. This form tends to have a slight milky taste when ingested. The other primary form of whey proteins are hydrolysates. These are perhaps the least allergenic of all of the forms of whey protein. Hydrolysates are more easily absorbed by the body, but they are also more expensive than the other forms. They have been reported to have a bitter taste. Whey protein is widely used in bodybuilding as well as other fitness routines. This is due to the fact that this type of protein is able to be digested very quickly. This provides rapid availability of the protein for the purpose of building muscle. Whey proteins also help to promote better nutrient flow throughout the body. This assists the body in muscle repair. Some doctors, as well as other health professionals, have criticized the use of whey protein. It is argued that the majority of the population consumes an adequate amount of protein as a part of a regular dietary routine. Excessive protein intake is known to cause such health problems as weight gain and kidney problems. There have even been reports of heavy metal poisoning in some people consuming more than three servings of whey protein per day. For these reasons, it is wise to consult a health care professional before adding any additional protein supplements to the diet. What Is Low-Carb Whey Protein? How do I Choose the Best Undenatured Whey Protein? What are the Most Common Whey Protein Benefits?